Save money on your Christmas decor this year by making your own Christmas ornaments! 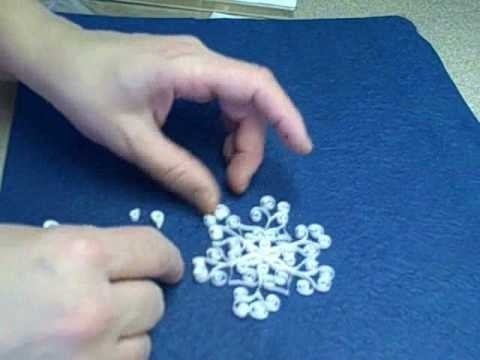 Create elegant decorations for almost no money at all by quilling Christmas snowflakes. All you need is a little bit of glue and plain printer paper. Attach a string to hang it up on your tree, or even use it as a unique substitute for gift tags.